(Beyond Pesticides, June 22, 2016) In a ruling that organic advocates say is critical to the integrity of the USDA organic label, a U.S. District Court judge found Monday that the U.S. Department of Agriculture (USDA) violated public process when it decreed that pesticide-contaminated compost is allowed in organic production. Three groups that bridge environmental, consumer, and farmer interests sued USDA for ruling that green waste compost, which comes from lawn clippings and plants, may contain levels of the insecticide bifenthrin and other pesticides that have not been approved for use in organic systems through proper public hearing and comment procedures. The case focused principally on whether USDA, in failing to conduct a formal public review, was operating “at its whim.” The court found that is exactly what USDA did and ordered the agency to stop allowing the use of contaminated compost by August 22, 2016. “The court decision upholds an organic industry that has been built on a foundation of consumer and farmer investment in ecologically sound practices, principles, and values to protect health and the environment,” said Jay Feldman, executive director of Beyond Pesticides. 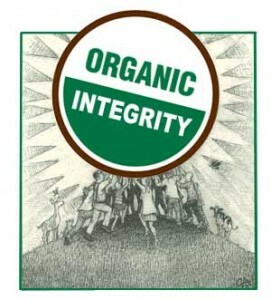 “USDA has violated a basic requirement of public accountability in the standard setting process, which is fundamental to public trust in the organic label and continued growth of the organic sector,” he added. “The decision is a vital victory for organic integrity, on behalf of organic consumers, organic farmers, and the environment,” said senior CFS attorney George Kimbrell, counsel for the plaintiffs. In 2009, the California Department of Food and Agriculture (CDFA) found compost contaminated with the insecticide bifenthrin and stopped the use of three compost products. Bifenthrin, a synthetic pyrethroid, is a possible cancer causing agent, endocrine disruptor, and neurotoxic chemical. After the UDSA contamination allowance in 2010, the California prohibition was lifted. As the Judge points out, testing previous to the USDA allowance had been done “when there is reason to believe that the agricultural input or product has come into contact with a prohibited substance or has been produced using excluded methods.” Testing performed by the Washington State Department of Agriculture (which tests for pesticide contamination to comply with Canadian organic certification) found that of the 13 tested composts, five had pesticide residues, according to court records. The Judge cited testimony that other compost was found during the prohibition of contaminated compost in California and the contamination is avoidable. Advocates argue that when registering pesticides like bifenthrin, the U.S. Environmental Protection Agency (EPA) must be required to protect against contamination of the green waste stream because of pesticides’ adverse environmental and public health effects, as well as the adverse economic impact that contamination may have on the now $40 billion organic industry. Before the challenged decision, organic producers were prohibited from using compost contaminated with pesticides or other synthetic substances not allowed in organic farming. National Organic Program (NOP) regulations specifically prohibit use of “[a]ny fertilizer or composted plant and animal material that contains a synthetic substance not included on the National List of synthetic substances allowed for use in organic crop production.” 7 C.F.R. § 205.203(e)(1). However, after California organic regulators, acting with the then-approval of NOP, banned several pesticide-contaminated composts, the producer of that compost, along with other members of the waste management, composting, and large organic industry, insisted that the rule be changed. After consultation with members of these industries, but without public participation, USDA ultimately issued the new decision, allowing the use of greenwaste (e.g. like lawn clippings) compost contaminated with prohibited substances, such as the residential pesticide bifenthrin. The plaintiffs allege that the USDA’s decision weakens the integrity of organic food production, not only by creating inconsistent organic production standards but also by undermining the essential public participation function of organic policy making under the Administrative Procedure Act (APA), federal law that establishes the procedures for public input into federal policy making. Since USDA never subjected the contaminated-compost decision to formal notice and public comment, the plaintiffs argue that USDA failed in its duty to ensure that its regulation is consistent with the Organic Food Production Act (OFPA) and the standards set forth for approving the use of synthetic substances. In arguments, defendants contend that the organic industry will likewise suffer significantly if NOP compost action is vacated because organic growers will no longer be able to use green waste compost and composting operations will lose a significant market for their products. However, the court found is insufficient evidence in the record to support their assertion or quantify it. After the plaintiff organizations initiated the litigation in 2015 challenging USDA’s issuance of the guidance without giving the public and organic stakeholders the opportunity to participate and object, USDA moved to dismiss the case, arguing that it could unilaterally open the new loophole through a guidance document. Last fall the Court denied that motion and the case proceeded. Earlier this spring, over a year after the case was filed, several industry groups (including a group with ties to pesticide giants, the certifier group CCOF, and the organic industry lobbying entity, the Organic Trade Association) showed up to argue that the Court should leave USDA’s loophole in place even if it found the agency violated the law in establishing it. In light of the new ruling, should USDA try to change the law again, it will have to do so with public participation, ensuring that the public can continue to watchdog the integrity of organic. The organic program has a long history of providing numerous opportunities for the public to weigh in on allowable practices and materials in organic production and has been central to building public trust in the organic certification program and the USDA certified organic food label. The National Organic Standards Board (NOSB) was set up by Congress to serve as an independent authority with unique and sole powers over organic standards. The board is intended to safeguard the integrity of the organic food label with independent authorities that operate outside the discretion of the USDA. The proposals of the NOSB, as a part of its ongoing review of practices and materials, are published for public comment twice a year before each meeting of the board. For more on organic standards and how you can play a part in maintaining the integrity of organic, visit the Keeping Organic Strong webpage and Save Our Organic webpage. This entry was posted on Wednesday, June 22nd, 2016 at 12:00 am	and is filed under Agriculture, Alternatives/Organics, Announcements, Litigation, National Politics, Pesticide Residues. You can follow any responses to this entry through the RSS 2.0 feed. You can skip to the end and leave a response. Pinging is currently not allowed. How in the world did someone think that comtaminated compost is ok? Lets call it ok for organic foods?No common sense! After eating pesticide contaminated greens, I now have CFS, chronic fatigue syndrome. When I had the painful bowels from eating the greens(I had not eaten any other new greens or food), I immediately called the produce manager and the store manager. They never returned any information by email, nor let me know who else had been affected, if anyone. I can’t imagine I was the only one. I washed, rinsed and steamed the collard greens & still had a violent bowel reaction. The store manager (a large food chain) gave me $10 on my grocery bill. I still have extreme weakness after exertion of simple things like doing laundry or walking my dog. And I’m really angry about all this because I’ve made it a point to be as healthy as possible all my life and take no prescription drugs. I hope these people fry in hell.